Following a HND in Sports Science at Manchester Metropolitan University Taeona took on a 4 year osteopathic degree at the British College of Osteopathic Medicine (BCOM), London. Since graduating in 2001 she has worked in a NHS multi-disciplinary practice whilst developing the clinic in Chesham. Taeona specializes in working with pregnant women, post natal women, babies and children. To develop and widen her knowledge she has successfully completed a Paediatric Osteopathic Masters degree at the Osteopathic Centre For Children (OCC), London graduating in 2006. As part of her training Taeona has also spent time in the neonatal, intensive and special care units at Barnet Hospital. 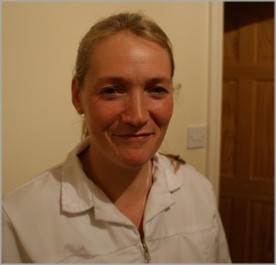 This enabled her to develop her cranial osteopathy and gain experience of treating very sick and premature babies. Taeona has now successfully developed the obstetric and paediatric side of the clinic whilst continuing to work both structurally and in the cranial field helping a range of people and complaints. Taeona is a registered osteopath, and is a member of the Institute of Osteopathy and the British Osteopathic Association. 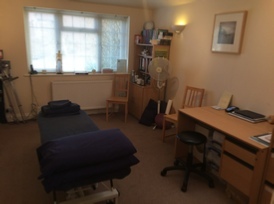 She now works in her busy Osteopathic clinic in Chesham, alongside a maternity reflexologist and a homeopath providing a bump and baby care package. She is also one of the founders of the Well-being Network, which comprises of a network of maternity specialists. Taeona Hutton and Anne Baker established the well-being network in early 2013, originally to bring together a group of working mums in the health and well-being industry. As individuals they had been cross referring for a few years and it was felt that by coming together they could assist each other with patient care and help ensure that they can truly support all our clients wellbeing needs. Many practitioners in the network are maternity specialists and regularly share the care of their clients depending on which discipline is appropriate for that stage of the pregnancy. As a group they come together every month to discuss topical industry issues, patient care and provide support for each other.